The 2017 American Housing Survey reveals that about two-thirds (66%) of all occupied housing units in the U.S. had a garage or carport. 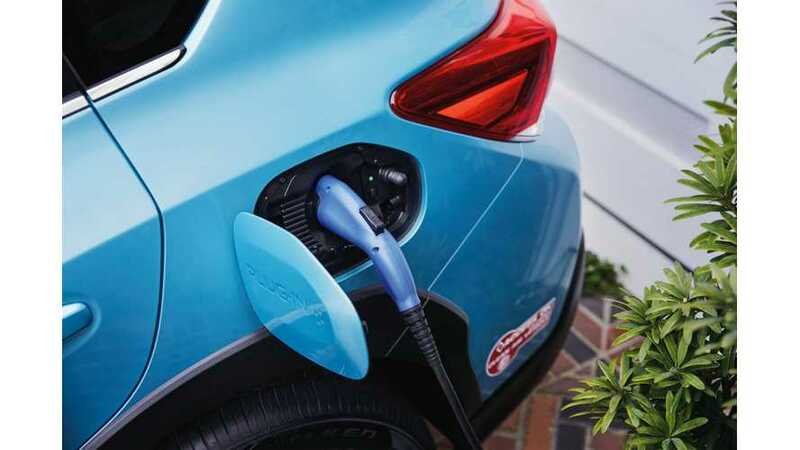 That's good news as a lot of consumers who are willing to use plug-in cars will have an easy opportunity to charge at home (often there is access to electricity). Current plug-in electric car market share in the U.S. is just about 2% (2018). The share varies depending on region too. 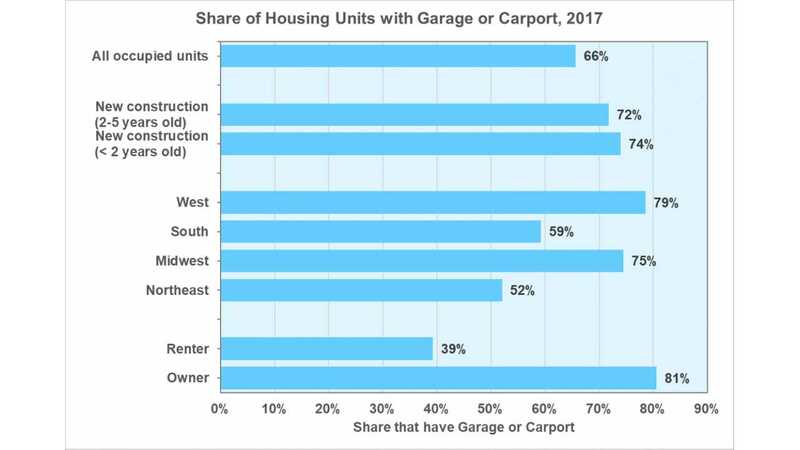 "The West and Midwest regions of the country had a greater percentage of housing with garages or carports, each with 75% or greater. For rental housing units, only 39% had a garage/carport, as compared to 81% for housing units that are owned by the residents." "Note: A housing unit is a house, apartment, group of rooms, or single room occupied or intended for occupancy as separate living quarters. Source: U.S. Bureau of the Census, 2017 American Housing Survey, AHS Table Creator, Accessed September 23, 2018."